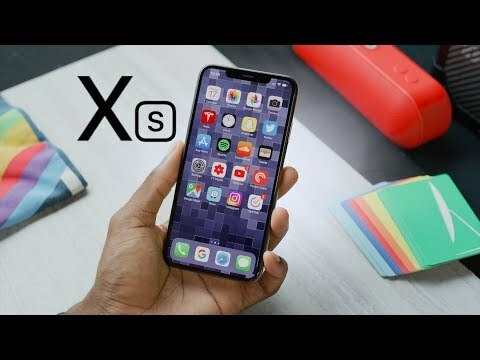 Apple iPhone XS was launched recently with one of the best cameras you can find in a smartphone. It looks amazing thanks to the tons of different color options. As already mentioned, if you care about cameras more then this is a perfect device for you. It has wireless charging support with water and dust resistance. Apple XS is a great phone it has an OLED dsplay which is very crispy and has vivid colours , the camera also captures amazing portraits and it also now can adjust the depthness of the pictures already taken which is also a very useful feature, then it is powered by the A12 chip which is a beast so overall it is a great device but it looks the same as last year which is why i wont recommend it to anyone owning a X else you can totally upgrade to it. This time Apple launched an impressive phone according to me. It&apos;s got everything in it. The phone not only looks dope and attractive but also packs lots of stuff. Battery life is very very improved now, cameras are as usual superb and everything related to this device is pure perfection. Even the addition of wireless and fast charging is a good decision. 3 Pricebaba users have written their experience with Apple iPhone XS 256GB. If you own Apple iPhone XS 256GB, please do leave your feedback too. Lowest price of Apple iPhone XS 256GB price in India starts at Rs. 1,13,356 Apple iPhone XS 256GB is available on Flipkart at Rs. 1,14,900 and on Amazon at Rs. 1,14,600. Prices updated on 21st April 2019.